A group of state lawmakers gave the go-ahead this week to a bill associated with Florida’s Stand Your Ground law. But, some say the bill could go further, while others believe the measure decriminalizing firing a warning shot won’t do much at all. The aim of the so-called Warning Shot bill is to make it clear that people can show a gun or fire a warning shot without fear of a lengthy prison sentence. 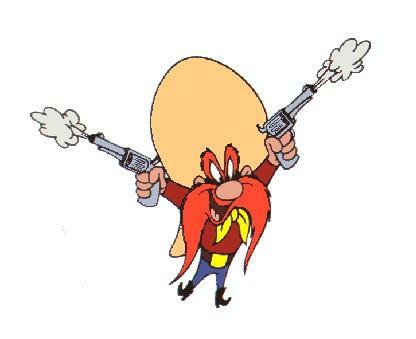 Some have even likened those who’d use the bill to cartoon gunslinger Yosemite Sam. Yosemite Sam may get a lot of laughs with his warning shot bit, but the bill already moving through both chambers is no laughing matter to the Florida Legislature. It’s sponsored by two Republicans, Baker Senator Greg Evers and Polk City Representative Neil Combee. 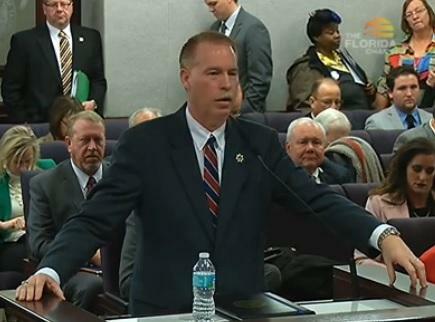 Combee says he wants to address the unintended consequences of Florida’s 10-20-Life Law. “When did this start making sense that we put people in prison for 20 years who’ve not physically harm anyone? There’s a problem here. There’s a conflict between 10-20-Life and Stand Your Ground. The Governor’s Task Force recognized that, and they recommended the Legislature do something about it,” said Combee. The bill is inspired by Marissa Alexander, a Jacksonville woman who received a 20-year prison sentence for firing a warning shot during a domestic violence dispute. She initially claimed Stand Your Ground, but a judge said her situation didn’t qualify. She’s since served part of that sentence as she awaits a new trial. Greg Newburn, the Florida director for the group Families Against Mandatory Minimums, says there are many stories similar to Alexander’s. During a recent Senate Criminal Justice Committee hearing on the bill, he recounted the story of Don Millner, an 81-year-old man who’d never been arrested before the day he decided to show his gun. “In January 2012, he and his wife went a lake home that they owned, where a group of squatters had broken in and were living illegally. At some point, Mr. Millner told them to leave, and a 6-foot-2, 23-year-old squatter refused became aggressive and his tone and mannerisms made Mr. Millner fear that this person is either going to hurt him or hurt his wife,” he added. Newburn says Millner later reached into his truck and grabbed a revolver. “…for which he had a valid concealed carry license. He never took it from its holster, put it down by his side, and he told the man ‘if you don’t back off, you will get hurt.’ Mr. Millner’s wife called the police, the police came out, and they questioned everyone. And, stunningly, they arrested Mr. Millner and took him to jail,” Newburn continued. Newburn says when Millner later posted bond, he got a letter from the State Attorney’s Office that stated he’d be formally charged with aggravated assault with a firearm. He faced a 3-year mandatory minimum and if he didn’t cooperate, could’ve been jailed for up to 20 years. Millner will always have a criminal record in Florida, despite the judge deeming him innocent. And, Inverness Republican Senator Charlie Dean says that needs to be fixed. He wants the bill to expunge the records of those deemed innocent. “I think somewhere we need to protect the innocent person’s record for that. Although he [Millner] may never need it, had he been 40-years younger and had an application somewhere in his life, it would show there was a charge placed against him, and I think that’s wrong,” said Dean. The National Rifle Association’s Marion Hammer, a bill supporter, says she blames prosecutors. “Unfortunately, if you are suddenly attacked and you pull a gun that you’re licensed to carry for self-defense to chase off an attacker, and the attacker runs away and no harm is done. You could still be prosecuted. You could become low-hanging fruit for some abusive prosecutor. Prosecutorial discretion doesn’t’ mean they can violate the intent of the law or the Constitution. We hope this bill will put a stop to that,” said Hammer. But, Alachua County State Attorney Bill Cervone took issue with Hammer’s and similar comments bill sponsor Evers made during the hearing. “Consider taking aggravated assault out of the 10-20-Life altogether. I’ll tell you this, it is the hardest of the decisions that we make Ag assault for 10-20-Life, but please don’t characterize all of Florida’s 2,000 prosecutors as some sort of renegade. There is another side or no one would have been arrested or before a court anyhow,” said Cervone. Evers later apologized, and Cervone says his fellow state attorneys are willing to work with him on the bill. The measure passed unanimously. A panel of Florida lawmakers moved several bills forward Wednesday attempting to address certain hot-button issues within the state’s criminal justice system from juvenile sentencing to unintended consequences of firing a warning shot. 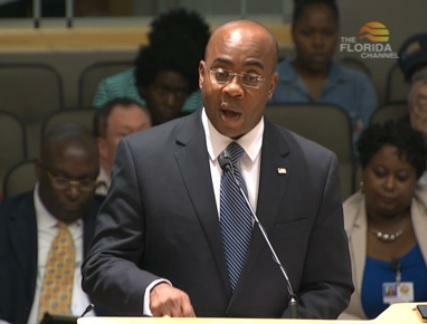 They also confirmed the appointment of Florida Department of Corrections Secretary Mike Crews, who also gave Senators an update on the prison system.